Have you ever wondered how Unschooling works? What is the difference in Unschooling and homeschooling? It is pretty simple, Unschoolers don’t do test, workbook sheets (unless we want), book reports, sit at a table for hours or use a curriculum. Unschooling is about life learning or letting your child choose what they want to learn, finding the resources to help them learn a subject and then encouraging them. We love taking scenic drives to small towns and learning about things that you just don’t see in our hometown, Savannah GA. In true Unschooler style we read historic signs, take silly pictures and then on the way home we google (or do Google School) about what we just learned and discuss it. Most of the time hubby thinks (LOL) that he knows more than Google and by asking questions and looking up the information we find out even more and sometimes he learns a little also. My point is that Unschooling is about learning any way you can. Take field trips, have discussions, ask questions and learn as much as you can about the world around you. Life isn’t taught in a book and sitting at a desk. Many can’t homeschool or Unschool but you can take the time to do fun things with your family and learn. 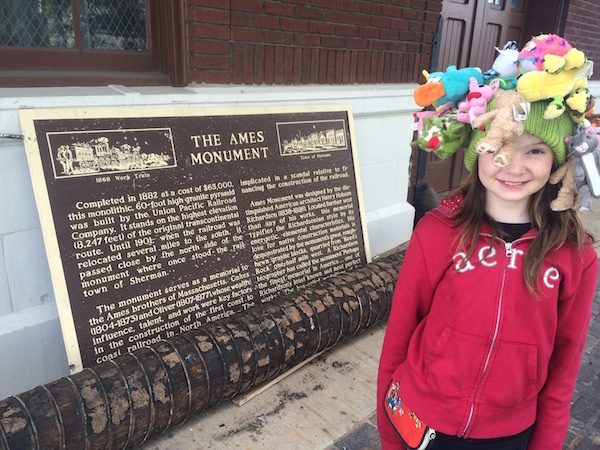 How did we learn about the Union Pacific Railroad, art and the town of Rawlins, Wyoming? We took a small road trip to Rawlins and enjoyed walking around the small town. We found a train that had historical markers, and was amazed by the front car that pushed snow out of the way as it drove down the track. 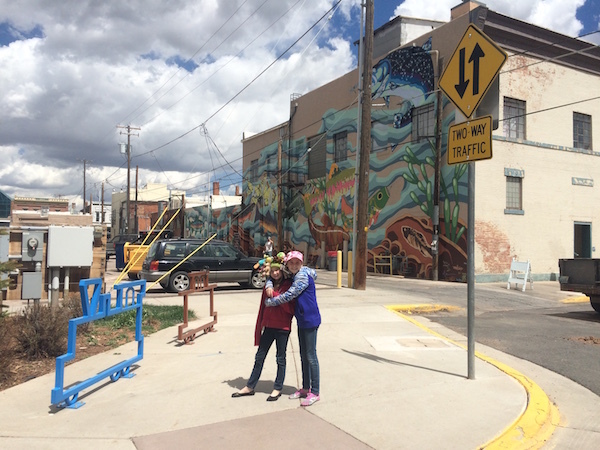 We found murals all over the town and signs about the beautification of Main Street. We asked locals about a great lunch place and ate lunch at a historic restaurant. The discussion continued on the way home about the influence the Union Pacific Railroad had on the expansion of the West. Notice Huggs cute hat she and Munchy designed with all the key chains she has collected over the years, mostly from their favorite place in the world, Disney World. 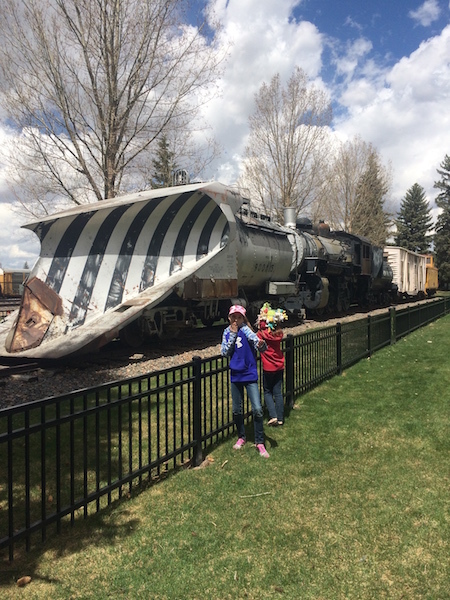 This entry was posted in Art/Music, Engineering, Geography USA/World, History, Technology, Unschooling and tagged faq, History, railroad, Rawlins, trains, unschooling, Wyoming by Chrissie. Bookmark the permalink.